Edmond Heatley: Is His Time Up? Should the Clayton Board of Education Terminate This Superintendent and Put Him on the Road? Post Your Anonymous Thoughts Here! You Can Speak Out! | Georgia Teachers Speak Out! ← The Worst and the Best of the Clayton County Board of Education in the Last 30 Years! Enjoy! Edmond Heatley: Is His Time Up? Should the Clayton Board of Education Terminate This Superintendent and Put Him on the Road? Post Your Anonymous Thoughts Here! You Can Speak Out! O. K., Clayton County teachers and parents… Here’s your opportunity to speak out on what you think about Edmond Heatley and his superintendency in Clayton County. Your name and email address will not be revealed. Here’s your chance to sound off! Those who refuse to fight for themselves should not expect others to fight for them. Incidentally, one of the ways that a teacher can fight for themselves is to join the Metro Association of Classroom Educators (MACE). MACE doesn’t have a scared bone in its body and takes on every abusive administrator in the state of Georgia! The CCEA group of GAE and PAGE have proven to be woefully ineffective against the arrogant administration of Edmond Heatley. They are better at kissing his posterior, not kicking it. Ha! 14 Responses to Edmond Heatley: Is His Time Up? 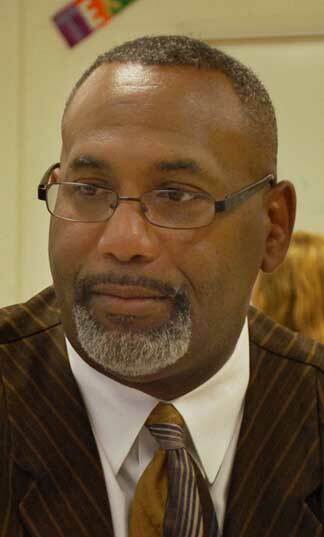 Should the Clayton Board of Education Terminate This Superintendent and Put Him on the Road? Post Your Anonymous Thoughts Here! You Can Speak Out! Georgia: I don’t know any specifics in Miller County, but I know that SACS is used by the powers-who-be to keep the electoral process truncated. The tail is wagging the dog. The school board members are elected by the people, but SACS and the Governor and the appointed State Board of Education appear to want to keep the people’s will in check. I am for going back to an elected superintendent. It worked much better that way. These appointed superintendents, in my opinion, are like educational sluts…with the school board attorneys being their legal pimps! Organize a group of teachers, and we will be down there to meet them. They are having similar problems in other counties in Georgia. This reminds me a lot of Hart County in Northeast Georgia where we recently visited. Contact the MACE Office if you organize a meeting and want us to make a trek down to Miller County. Dr. John, I trust that you and MACE are all over this like a “Duck On A June Bug”. If you say he needs to go, SoBeiT…….let’s get him outta there. When you get through, come to DeKalb……we’ve got a bigger mess over here. CV: I know that you are all over DeKalb and are a graduate of DHS. Are you saying that things are getting rough in Bulldog Country? Ha! I thought that the slasher supe whom they brought in a few years ago from Texas was going to work miracles! Ha! Yep, it’s getting bad all over, especially in DeKalb, Clayton, Atlanta, and Fulton. Now we are seeing more and more mess in Cobb and Gwinnett. You know what I think? I think he’s TRYING to get fired because this county has a history of buying out contracts. He does more and more outlandish things… [Some information redacted.] But we keep lying down and taking it. Is it true he reduced contracts without the board’s permission? And why, if Georgia got an NCLB waiver, are Clayton County teachers still being told they have to make AYP numbers? It is time for Ed to go ASAP. Edmond Heatley should never have been hired in Clayton County. He has been a complete disaster! As long as he is in place, in my opinion, the school system will never improve and the school board will continue to look foolish for keeping him here. He will go down in history as the Superintendent who destroyed Career & Technical Education for all of the students in Clayton County Public Schools. Shame on you!!! Russell: I presume that the “you” is referring to Edmond Heatley, not me. Ha! Ed Heatley has destroyed Career & Technical Eucation programs in CCPS. The fallout is devastating. The opportunity for our students to gain the necessary hands-on, project-based skills to be successful in building a career, has been reduced to almost naught. Several teachers did not receive contracts; therefore, the programs were closed impacting thousands of students. Edmond Heatley trikes again. As a parent, I am devastated to say the least! Russell: Didn’t I read somewhere that Career & Technical Education is required by the State? thinks that he above the law! As a teacher in his former district, I feel for you all as you will find it will take years to recover from his policies, as we are still trying to make things better here in Chino Valley Unified. We are still laying off teachers and handing over hundreds of thousands of dollars to private corporations due to absurd policies Mr. Heatley and his cronies put in place (For the record, I will never address him as Dr., as I feel that is a position you earn, as opposed to purchase, which is what Mr. Heatley did for his piece of sheepskin at USC). If your board offers to buy out his contract, they should all be recalled. Go public and be bold. Good luck. I don’t know anything about Heatley’s doctorate, but I do know that it will take Clayton County years to get over Edmond Heatley. Thanks a lot, Glenn Brock, for bringing Heatley to Clayton County. Not.